I start with a photo of some charismatic animal, usually an amphibian, reptile or insect. 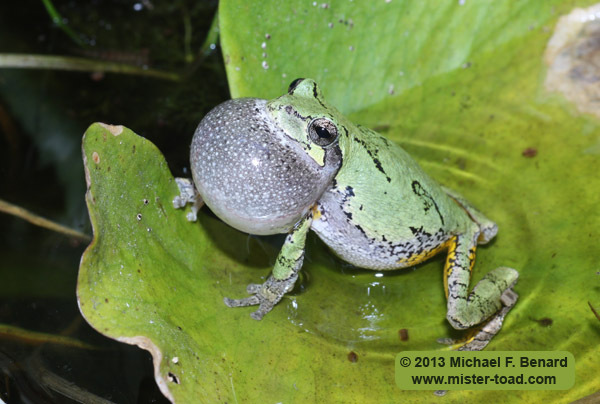 For example, this picture of a calling make gray treefrog is one of my favorites. 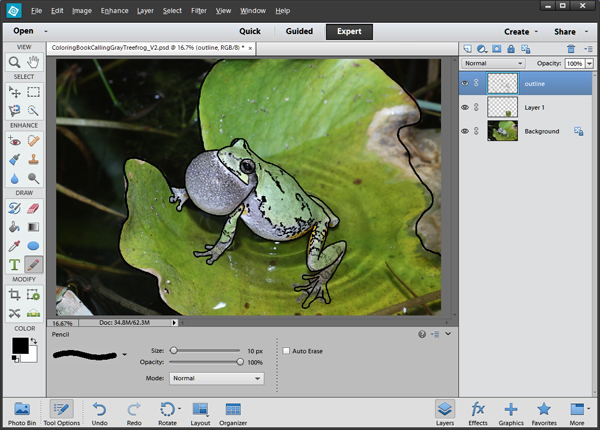 I opened it up in photoshop elements, and made an outline in a separate layer. Then I deleted the background, so just the outline was left. I resized the outline, and saved it as a pdf. Then just print, and it is ready to color! 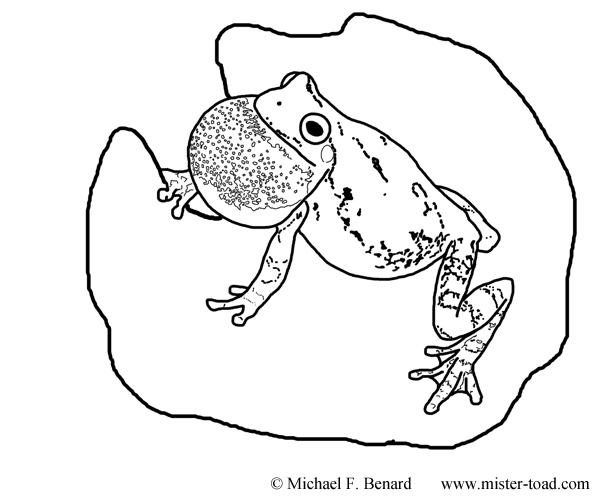 Here is the coloring page transformed into a “fire-fighting tree frog”! Have a favorite … or a request? Let me know! 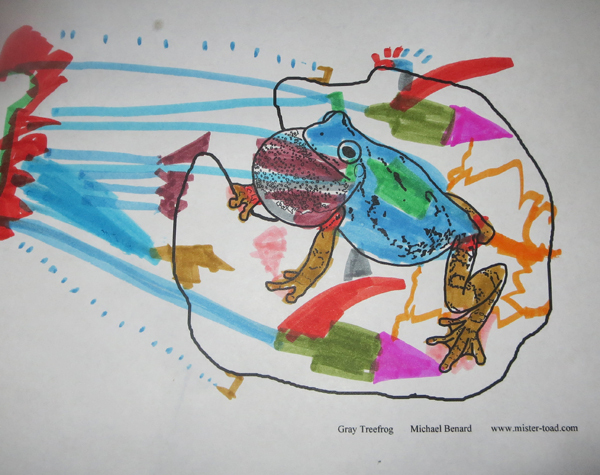 This entry was posted in Art, Natural History, On the Web, Photography, Uncategorized and tagged Frog, kids, video. Bookmark the permalink. We have a very large plant pot which we made into a water feature and for the past 5 or 6 years Pacific Chorus Frogs arrive, sing, and lay eggs. Is it possible or likely that it is the same male and/or female who come each year? 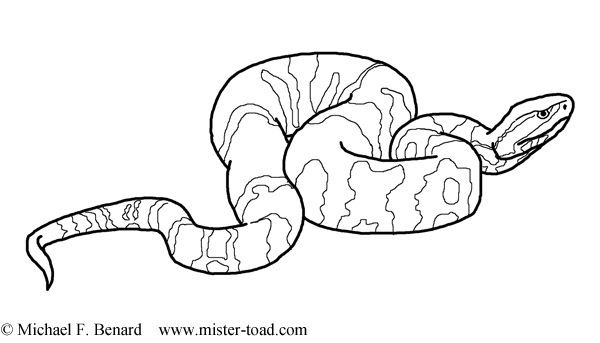 I like your idea for creating your own colouring sheets. Pacific Chorus Frogs can live over 5 years in captivity, so it is possible that the same frogs come each year. However, there is a high mortality rate for these frogs in nature. Only about 20% of the adults survive from one year to the next. So it is pretty unlikely that it is the same individual frogs coming each year for five years. But it wouldn’t surprise me if some of the frogs breeding this year had bred in your water feature last year.